Stoners around the country celebrated after â€œlegalisation of daggaâ€ on Friday, but that soon turned into confusion because the law is still hazy. So The Daily Vox clears up the smoke for you. The Western Cape high court ruled that sections of the Drug Trafficking Act, as well as the Medical and Related Substances Act must be changed to make provisions for smoking marijuana at home or growing for personal use. Judge Dennis Davis found that it was an infringement of the constitutional right to privacy to ban the personal use of dagga by adults in their homes. He gave Parliament two years to correct laws relating to dagga use so that adult South Africansâ€™ constitutional right to privacy is not infringed upon. But because the judgment relates to constitutional rights, it first needs to be confirmed by the Constitutional Court. So what does it mean for stoners around the country? According to Wits law professor, Cathi Albertyn, the order from the Western Cape high court is only a referral, so people need to be careful. â€œThe order says the Constitutional Court should ask Parliament within 24 months to amend legislation to allow for the private use of a quantity of cannabis for private personal purposes,â€ she said. 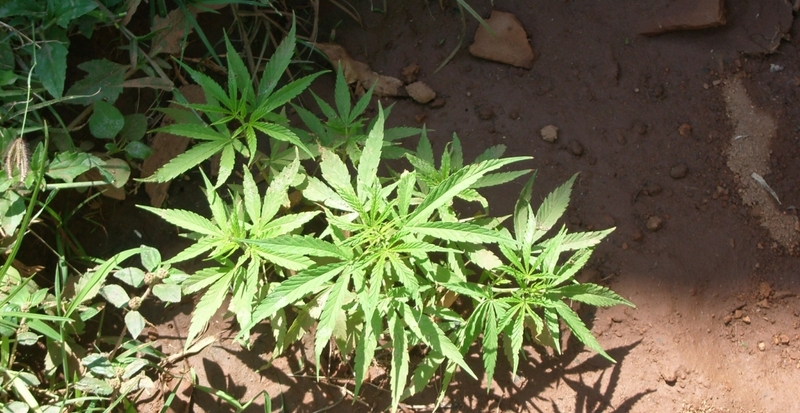 The case only concerns the personal consumption of dagga, and doesnâ€™t deal with distribution. You can still be arrested for possessing it, but you will be able to raise a defence of privacy when the police charge you in court. â€œIf the Constitutional Court agrees with the Cape high court, the situation will be as follows: it will still be a criminal offence to use dagga for your personal use but if you are arrested, it will be a defence to your charge that it was for your personal use so effectively it wonâ€™t be a criminal offence,â€ she said. Right now, weâ€™re in a state of constitutional limbo. â€œOne court has suggested it is unconstitutional while it canâ€™t be confirmed until the ConCourt has spoken on it,â€ she said. According to one of the applicants, Jeremy Acton, the ruling is likely to be confirmed by the Constitutional Court. â€œThe ruling was a unanimous decision by three judges who criticised the stateâ€™s handling of the matter so I do not know on what ground the state would appeal,â€ he said. He said he would like to appeal the high court judgment as it, however as it did not go â€œfar enoughâ€. He wants the possession of cannabis to be legalised. â€œThe fact that I have been physically abused by police for carrying cannabis on my person and the privacy of my person is just as sacred as the privacy of my home,â€ he said. He said the fight must continue. â€œThis judgment is the starting point on the massive debate, Parliament has two years to change legislation to remove this plant out of the Medicines and Related Substances Act,” he said.